Yarrow grows up to 1 metre in height and it is commonly found in park meadows, overgrown gardens and along railway tracks. It has downy ridged-stems, a creeping underground stem, and flat white flower heads. The feathery and pungent leaves are finely divided. 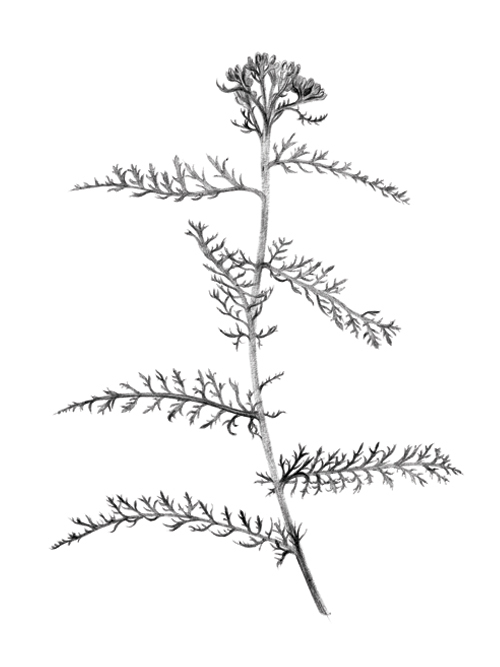 In the past Yarrow leaves have been useful for covering and healing open cuts and wounds. Applequist, W. L. & Moerman, D. E. Yarrow (Achillea millefolium L.): A Neglected Panacea? A Review of Ethnobotany, Bioactivity, and Biomedical Research1. Econ. Bot. 65, 209–225 (2011).